watches come in countless sizes, styles, and brands. And the different ways to wear what you want keep growing—just last month, Swiss watchmaker TAG Heuer and fashion brand Fossil launched their first watches powered by Android Wear. What makes a watch worth wearing? It should be beautiful and useful. Save you time and express your style. 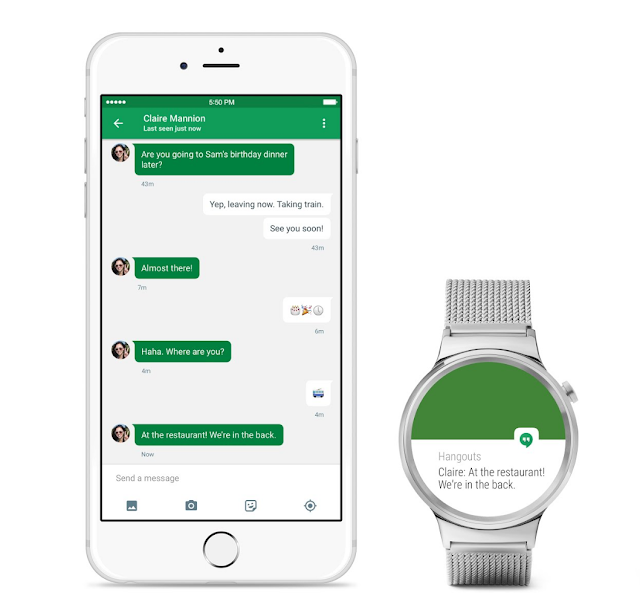 Like mechanical watches, Android Wear watches come in countless sizes, styles, and brands. And the different ways to wear what you want keep growing—just last month, Swiss watchmaker TAG Heuer and fashion brand Fossil launched their first watches powered by Android Wear. this Fall, we've seen millions of people set up Android Pay, and the vast majority of them are using tap and pay with their Android devices for the first time. There are now over 1 million locations across the United States that already accept tap and pay, with more being added every day. In short, the response from customers and merchants has been tremendous. Now we’re ready for the next step: We're working to bring Android Pay's simplicity and security to purchases within apps, and to people in more countries around the world. Starting today, you’ll be able to use Android Pay to speed through mobile checkout within many of your favorite Android apps in the US. No more pulling out your credit card while on-the-go. No more errors thanks to clumsy thumbs. Just tap the Android Pay button in the app, confirm your information, and you’re done! And just like your purchases in stores, Android Pay never shares your card details with merchants. In the next few months, you’ll see more and more of your favorite apps adding Android Pay to help you speed through mobile checkout. For a limited time, you’ll also get special savings by using Android Pay in select apps—from $20 off on OpenTable* dining, $10 off your Lyft ride*, $10 off DoorDash* to 30% off Vinted*—there’s something for everyone. Visit our collection to view all the offers. 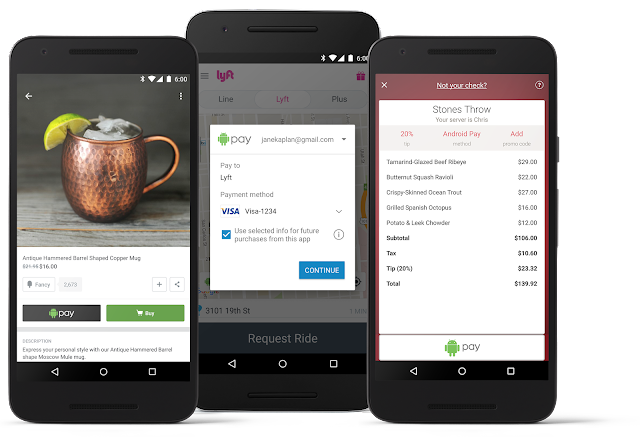 Developers: want to add Android Pay to your app? You can visit the Android Pay API developer site to learn how to accept Android Pay for the purchase of physical goods and services. We’ve worked with leading payment providers to make accepting Android Pay a breeze. We're also taking the first step to bring the convenience of Android Pay to Android users across the globe. In the first half of 2016, Android Pay will arrive in Australia. We’re working closely with many of Australia’s major financial institutions—including ANZ, Westpac and many other banks—with the aim of bringing Android Pay to their MasterCard and Visa card holders. You will be able to use Android Pay wherever NFC payments are accepted in the country, including merchants such as 7-Eleven, McDonald's and Telstra. And Australia is just the start. We’ll be adding more countries throughout 2016. This was a big year for Android Pay, and we're excited about what's to come. * Subject to merchant terms and conditions. Since our launch this Fall, we've seen millions of people set up Android Pay, and the vast majority of them are using tap and pay with their Android devices for the first time. There are now over 1 million locations across the United States that already accept tap and pay, with more being added every day. In short, the response from customers and merchants has been tremendous. while he works; I like Entering Beast Mode stations when I hit the gym; and we listen to Michael Bublé as a family while we cook dinner. What can I say, we’re a pretty fun bunch! But it means my family ends up paying for multiple subscription music accounts which can add up over time. 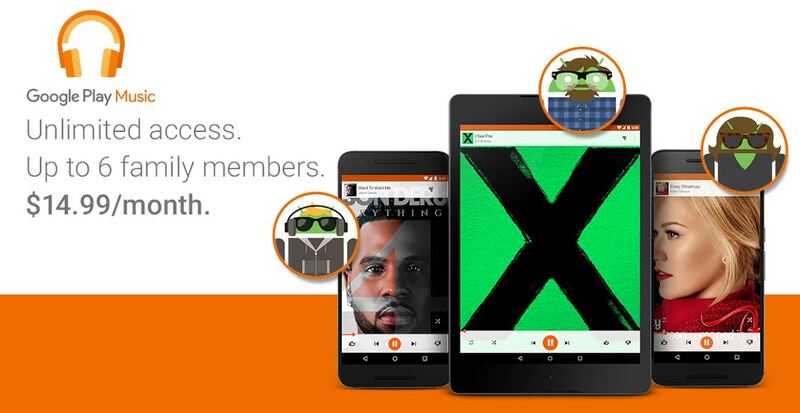 For families like mine, we’re happy to start offering the Google Play Music family plan today. With the family plan, you and up to five family members can subscribe to Google Play Music - together - for just $14.99 per month. You’ll unlock all of the same features you’d get from having individual subscriptions, including ad free, unlimited access to more than 35 million songs and the ability for each family member to stream simultaneously on any device, all for one low price. Now, you can keep your listening experiences separate from your partner and get music recommendations tailored to the music you like. So, my husband’s Depeche Mode singles will never show up in my account - only my true favorites will be front and center. And a family plan on Google play will also get your family access to YouTube Red in the US. You and your family will be able to sign up for a Google Play Music family plan in the coming days on Android devices in the US, Canada, the UK, Australia, France and Germany, with more countries coming soon. You and your family members can listen on Android, iOS and the web. In a family of music lovers, there’s a soundtrack playing throughout our daily lives. My husband likes to listen to The Smiths radio while he works; I like Entering Beast Mode stations when I hit the gym; and we listen to Michael Bublé as a family while we cook dinner. What can I say, we’re a pretty fun bunch! But it means my family ends up paying for multiple subscription music accounts which can add up over time. ‘Tis the season to give back. Android Pay and Google.org are teaming up with DonorsChoose.org to support the 6.4 million children in the US education system with special needs. Over the last month, Google.org has been shining a spotlight on teachers who are using innovation in the classroom to improve learning and inclusion for kids with special needs. This is part of Google’s focus on improving the lives of people with disabilities through their Global Impact Challenge: Disabilities. Now, Android Pay is extending that effort. Starting today through December 31st, we’ll donate $1— up to $1 million — to special needs education projects. And as we kick off the season of giving, we’re doubling our donation for every Android Pay purchase made on Black Friday (November 27th). There’s never been a better time to give — twice. To find out more about how your taps can help make education more inclusive for every child, click here. 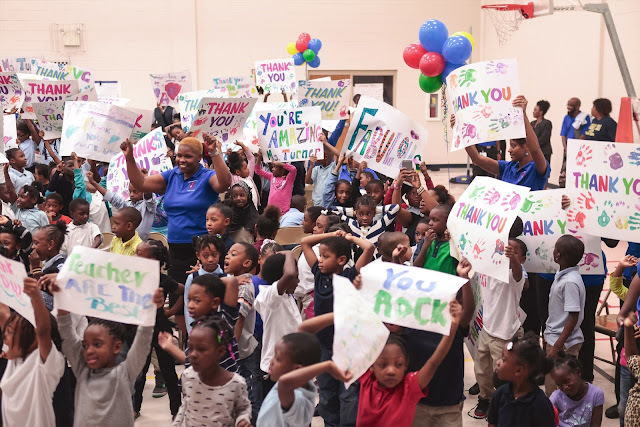 Teachers spend nearly $500 out of their own pocket each year to outfit their classrooms with enriching projects and programs. Since each student learns differently, let’s support special needs classrooms across the country to make education more inclusive for every kid. Happy holiday tapping -- and giving! Void for residents of AL, HI, IL, MA, MS, SC, and where prohibited. Standard data rates, terms and conditions apply. May not be available from all service providers/devices. Between 11/24/15 & 12/31/15, Google Inc. will donate $1 to Donorschoose.org for every purchase made using Android Pay and $2 for every purchase made on 11/27/15, up to $1,000,000 in total. Charity information at www.donorschoose.org. App uses are not tax deductible. Terms and conditions here. Every gift is twice as nice. Support special education with every Android Pay purchase. ’s latest update recognizes all your healthy choices: from cardio to strength training, what you eat plus how you rest, and coaches you every step of the way. Instant insights. 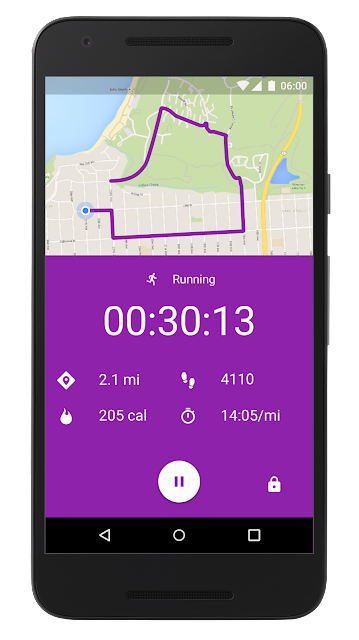 See real-time stats for your runs, walks and rides on your phone. Google Fit will record your speed, pace, route, elevation, and more so you can stay motivated and on track. Strength training. Want to add push-ups to your routine? If you have an Android Wear watch, you can start a daily challenge and your watch will automatically detect and count each sit-up, push-up, and squat. They'll be added to your daily activity, so you get credit for each one. The whole picture. 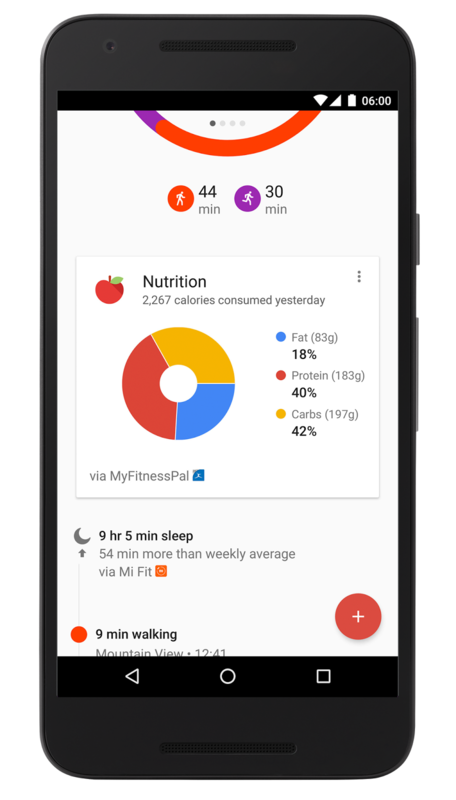 Google Fit will now show you info from your favorite nutrition and sleep apps. Monitor your diet with MyFitnessPal, Fatsecret, Lifesum, or LoseIt. Or track your sleep with Sleep as Android, Xiaomi Mi Band and Mi Band 1S, Sony Smartband 2, or the Basis Peak. These new integrations (rolling out in the coming days) will provide even better insights into your health and fitness. And with Google Fit, you'll always have a personal coach cheering you on, right from your phone. When you’re able to view your overall fitness, you may just start making better choices: taking the stairs instead of the elevator, choosing salads over eclairs. Looking to stay fit this holiday season? 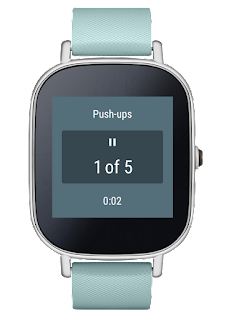 Check out the new Google Fit updates and start making every effort count. When it comes to fitness, every effort counts: each step, sit-up, snack, and good night’s sleep. That’s why Google Fit’s latest update recognizes all your healthy choices: from cardio to strength training, what you eat plus how you rest, and coaches you every step of the way. Solving the age-old question: Batman or Superman? 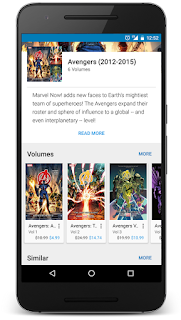 Today, Google Play Books is getting an upgrade specifically designed for comic book fans, making it easier to read your favorite comics on your phone or tablet. Reading a comic book is all about following the story and enjoying the art, dialogue and pace the way you want. But navigating a comic can be tricky on a small phone or tablet screen. So, we’re introducing a new vertical scrolling experience for comics in landscape mode. Flip your device on its side and you can easily scroll through the story with quick vertical swipes. We’ve also made finding great comics and series really easy. 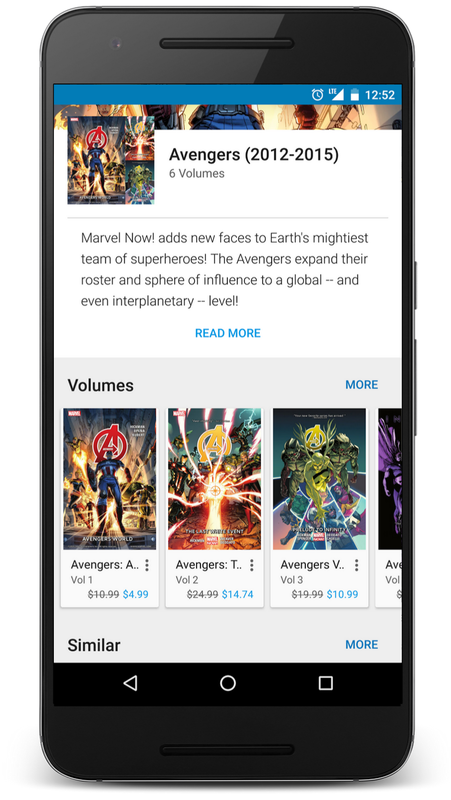 Now we’re offering a new comics destination and a bunch of beautifully curated series pages on the Google Play Store that organize volumes, issues and other editions of the top comic series. You’ll also find new personalized recommendations for similar series to help you discover new stories and characters. Google Play offers binge-worthy comics from all the major publishers, including DC Comics, Marvel, Image, IDW and Dark Horse. Whether you’re a long-time fan or just starting out, our collections will have something great for you, with series like The Walking Dead, Justice League, Deadpool and Mortal Kombat. And for the next week we’ll be celebrating these new features with several free comics, including issues from The X-Files, Lazarus, and Jem and the Holograms, and more. These experiences will roll out to Android users in the next few days (with iOS soon to follow) in the US, Canada, Australia, the UK, India, Singapore, Ireland, New Zealand and South Africa. Now stop reading here, and go connect with the canon! It’s a multi-generational debate—are you team Batman or team Superman? While we can’t personally help you make this very difficult decision, we can tell you it’s never been a better time to be a comic book fan. With a smartphone in your pocket, you have a sharp color screen at your fingertips and instant access to read any comic whenever and wherever you are. Holy Android! of mixing beauty with engineering breakthroughs. And TAG Heuer has been at the forefront of many of these innovations—from the first chronograph accurate to 1/100th of a second, to the first belt-driven tourbillion, and many more. With the TAG Heuer Connected we're excited to introduce another first: the first luxury watch powered by Android Wear. Inspired by the TAG Heuer Carrera, this watch includes a titanium case and signature strap in seven striking colors. In addition, its high-resolution, transflective sapphire glass display makes it easy to check the time and other important info—even in the bright sun. 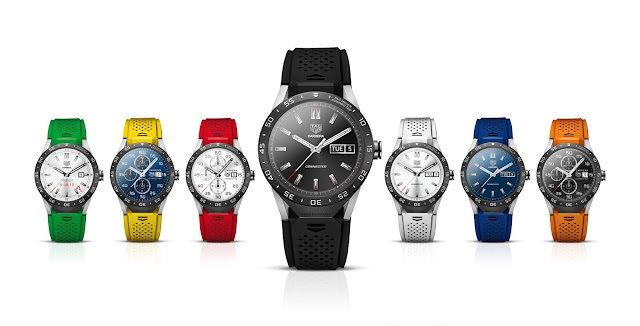 The TAG Heuer Connected represents an incredible collaboration between watchmakers from La Chaux-de-Fonds, Switzerland, and engineers from Intel and Google in Silicon Valley, California. With our combined expertise in watchmaking, hardware, and software, we’ve created a watch that we’re excited to share with the world! So check out the TAG Heuer website, and learn more about this beautiful, useful watch. Watches have a long and celebrated history of mixing beauty with engineering breakthroughs. And TAG Heuer has been at the forefront of many of these innovations—from the first chronograph accurate to 1/100th of a second, to the first belt-driven tourbillion, and many more. With the TAG Heuer Connected we're excited to introduce another first: the first luxury watch powered by Android Wear. , staying up late with friends or lifting weights at the gym. But what if that same technology and curation could help connect people with great podcasts based on their mood or interest—something to make them laugh, get lost in a story or learn something new? 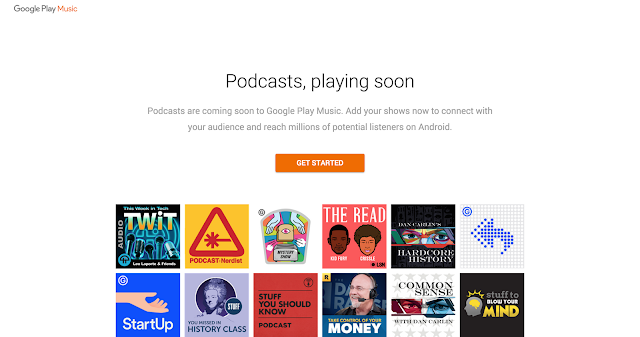 We thought that would be awesome, so we plan to start offering podcasts on Google Play Music, giving podcasters access to millions of new listeners on Android phones and tablets. To that end, today we’re launching a portal for podcasters to start uploading their shows to Google Play Music before we open up the service to listeners. Along with direct searches and browsing for podcasts, the service will connect new listeners with podcasts based on what they’re doing, how they’re feeling, or what they’re interested in. Similar to our contextual playlists for music, this will give podcast fans and new listeners a way of finding and listening to content that’s unique to Google Play Music. Podcasters in the US can start uploading shows now at g.co/podcastportal. With more than one billion people using Google Play every month, there’s always something to watch, read, listen or play. And soon, you can add podcasts to that list. We’ll have more details to share in the coming months. For now, start uploading your podcasts at g.co/podcastportal. Google Play Music helps connect people with the perfect soundtrack for whatever they’re doing—whether they’re stuck in rush hour traffic, staying up late with friends or lifting weights at the gym. But what if that same technology and curation could help connect people with great podcasts based on their mood or interest—something to make them laugh, get lost in a story or learn something new? We thought that would be awesome, so we plan to start offering podcasts on Google Play Music, giving podcasters access to millions of new listeners on Android phones and tablets. 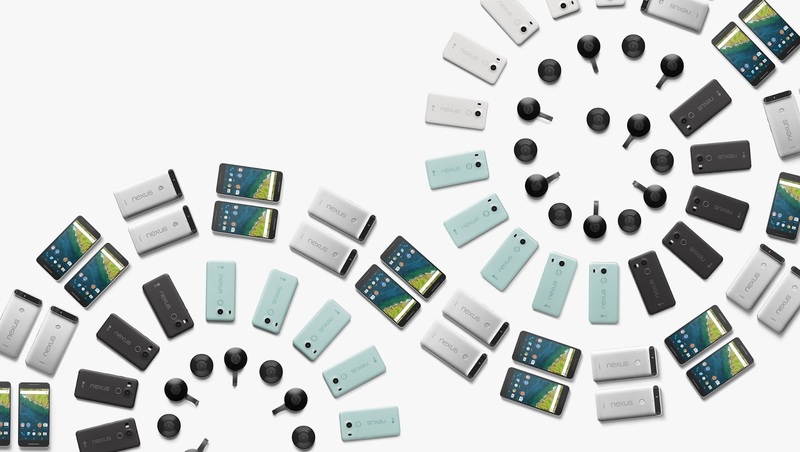 Nexus 5X and 6P will ship with Android 6.0, straight from the factory. Android Marshmallow is the sweetest, smartest Android version yet: Now on Tap serves up assistance when you need it, battery-smart features keep your device going longer, and new app permissions give you even more control. Get help with what you need no matter which app you’re in. Now on Tap — a feature unique to Android Marshmallow — stays on task alongside you, instantly pulling up relevant info and helping you get more done. Say you receive an email about meeting a friend at the Central Park Zoo. Just tap and hold on the home button, and Now on Tap will assist you by providing links to information about the zoo, shortcuts to relevant apps and even suggest a calendar entry for the date, time and location. Improving battery life isn’t just about building a bigger battery. It’s also about improving the way your device uses the charge it has. With Android Marshmallow, we’ve added two new features which dramatically decrease your device’s thirst for power. With Doze, Android recognizes when your device is idle and automatically goes into a deep sleep state to conserve power. To see how well it works, we took a bunch of Nexus 5s and Nexus 6s, put Lollipop on half of them and Marshmallow on the other half, and measured standby battery life. The screen-off time of these devices running Marshmallow lasted 30%* longer on average! So even if you forget to plug in your phone before bed, your phone’s alarm clock will still ring. The other new battery-conserving feature is called App Standby. This puts your seldom used apps into a reduced activity state to conserve battery for the apps you use more frequently. Android Marshmallow gives you the ability to customize and control which capabilities you give apps. With the new app permissions model, you pick and choose which permissions to grant apps at the time of use. Apps designed for Android Marshmallow only ask for a permission at the time it’s needed to use a feature. You can deny any permission and still continue to use the app. In addition, we’ve added new settings for permissions that allow you to turn on and off any permission, for any app, at any time. For fingerprint sensor enabled devices, Android Marshmallow gives you a new way to protect your device. On Marshmallow, your fingerprint is the gatekeeper to unlocking your device, authorizing transactions in the Google Play Store, signing into 3rd party apps, and zipping through checkout with Android Pay. On Lollipop, Android made it easier to set up your new phone from your old one, migrating your apps and app data. With Android Marshmallow, you can breeze through setup on your Android TV or tablet too. Say "OK Google, set up my device" from your phone and you’ll quickly be up and running. For TV, we'll even transfer over your Wi-Fi passwords. Nexus 5, Nexus 6, Nexus 7 (2013), Nexus 9 and Nexus Player will get an over the air software update** to Android 6.0 Marshmallow. In addition to the new Nexus 5X and 6P, keep your eyes peeled for other new devices shipping with Android 6.0. Finally, we know many of you take your devices to work. To learn more about security and other work features in Android Marshmallow, register for the Android for Work Live online event on Nov. 4th. This is just a taste of Marshmallow but you can learn s’more on android.com/marshmallow! *Actual battery performance will vary and depends on many factors including signal strength, network configuration, battery age, operating temperature, features selected, device settings, and voice, data, and other application usage patterns. **The Nexus update to Android 6.0 Marshmallow occurs in stages and some carriers will receive the update later than others. 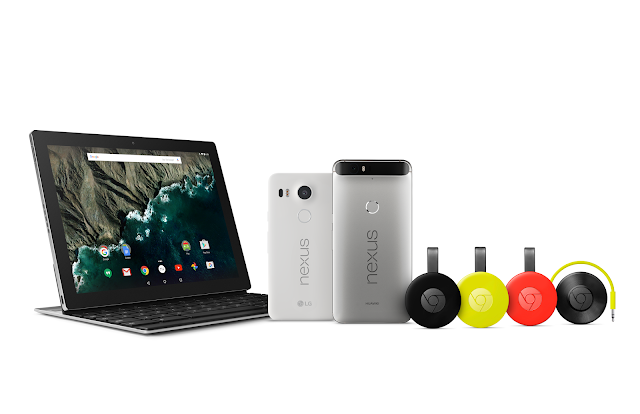 Today we’re starting to roll out Android 6.0 Marshmallow to Nexus users. Of course, the new Nexus 5X and 6P will ship with Android 6.0, straight from the factory. Android Marshmallow is the sweetest, smartest Android version yet: Now on Tap serves up assistance when you need it, battery-smart features keep your device going longer, and new app permissions give you even more control. We can't guarantee Carrie Mathison will capture Haqqani. We’re not sure what groundbreaking global issues VICE will cover. And we can’t tell you if Sheldon and Amy will get back together. What we do know is that you can find out for yourself with SHOWTIME®*, HBO NOW*, and CBS All Access, now available on Android TV. So go ahead and catch up on Homeland, VICE, The Big Bang Theory and hundreds of other shows from your favorite apps. Disney fans, we’ve also got you covered. Disney Movies Anywhere is now available on Android TV so you can watch your favorite Disney movies on the big screen and anywhere you go. Disney princesses not your thing? Well, with EPIX now available, you can choose from thousands of movies, concerts and comedy specials to stream right from your living room. Fight lovers, we didn’t forget about you. Tune in to WWE and UFC, now both available on Android TV, and never miss a battle in the ring. 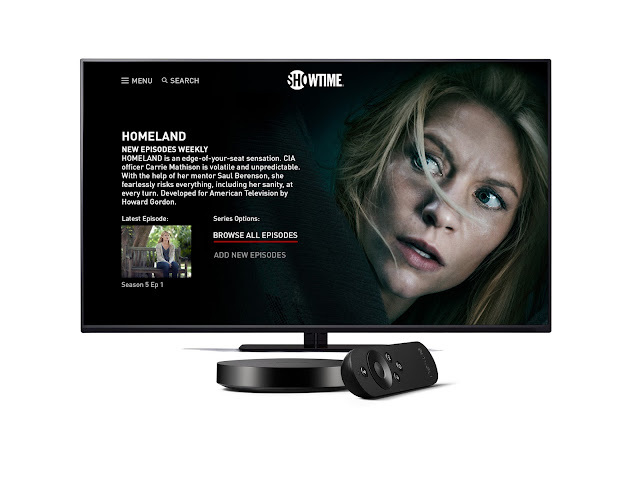 In addition to these apps, you can always check out the full list of over 50 premium Android TV apps available for download. Android TV is all about choice. Whether you’re looking for a new shiny Smart TV or an amazing gaming console experience, you have an abundance of options to choose from - Sony, Sharp, Razer, Nvidia. And today, we’re adding to your list of options by welcoming Hisense, TCL, and several other smart TV manufacturers to the Android TV family. Pay TV operators can also be powered by Android TV, letting you seamlessly watch your TV service alongside all the great apps and games on Android TV. With that, we’re also excited to announce Pace, Sagemcom, Technicolor as set-top box manufacturers and KDDI and Telecom Italia as partners who will bring you their Pay TV services powered by Android TV. Now you can enjoy more ways to watch your favorite entertainment. So, as the nights get longer and colder, you now have another reason to stay in and binge on your favorite TV shows, movies, and sports content right from your Android TV screen. The end of summer isn't too bad after all. Note that you may need to sign in with a subscription or participating TV provider account to access some content. 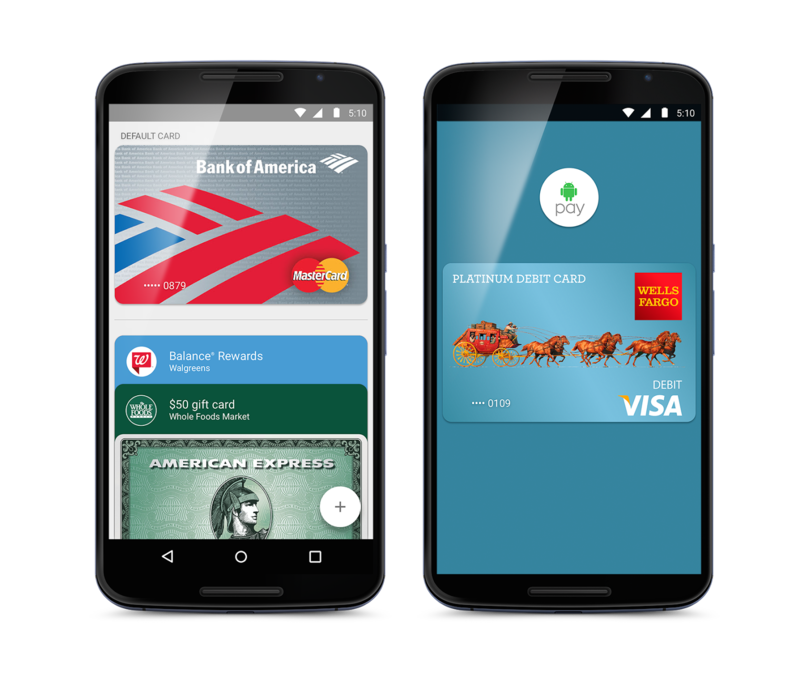 Last week, we announced the US rollout of Android Pay. To celebrate our launch, we’re giving one lucky winner plus three of their friends a VIP trip to Mexico City that includes four seats at the premiere of the thrilling new James Bond film, Spectre from Sony Pictures. To qualify, just tap and pay at any of the over one million locations where Android Pay is accepted across the US between September 28 and October 15, 2015. Each day that you use Android Pay earns you one entry, and you can earn up to 18 entries during the promotional period. The grand prize winner will be drawn at random on October 19, 2015, and you can find more information by visiting the official promotional page. To start tapping your way to the red carpet, make sure you have Android Pay on your phone. If you don't have it yet, you can download Android Pay on Google Play. Good luck, and we hope to see you on the red carpet. For official rules, how to enter, prize restrictions, and details, click here. As the season turns, it's the perfect time to update your look: out with swimsuits and flip flops, and in with scarves and Fall coats! Regardless of where your wardrobe lands, today's new Android Wear watches let you express your style—whether you rock Android or iPhone. Get the Huawei Watch in six different designs with silver, gold, and black metal finishes. With an ultra-high resolution display, you’ll get a crystal clear view of all 40+ built-in watch faces. The watch’s sensors let you track not only running and walking, but also stair climbing. Choose between the small or large ASUS ZenWatch 2, starting at $129. Both come in silver, rose gold, and gunmetal finishes with bands of different styles and materials. Get instant access to agenda and email with the built-in productivity app as well as fitness reminders with the wellness app. Check out four new Moto 360 watches: Moto 360 for Women, Moto 360 in two different sizes, and Moto 360 Sport. Pick among rose gold, gold, silver, and black metal finishes for Moto 360 and a variety of stainless steel and leather bands. Want to go on a run without your phone? The Moto 360 Sport features built-in GPS and a display that’s easy to read outdoors. All of today's watches also include improved battery life, always-on displays, and quick-release bands, so it's even easier to glance at your important info, and make your watch your own. 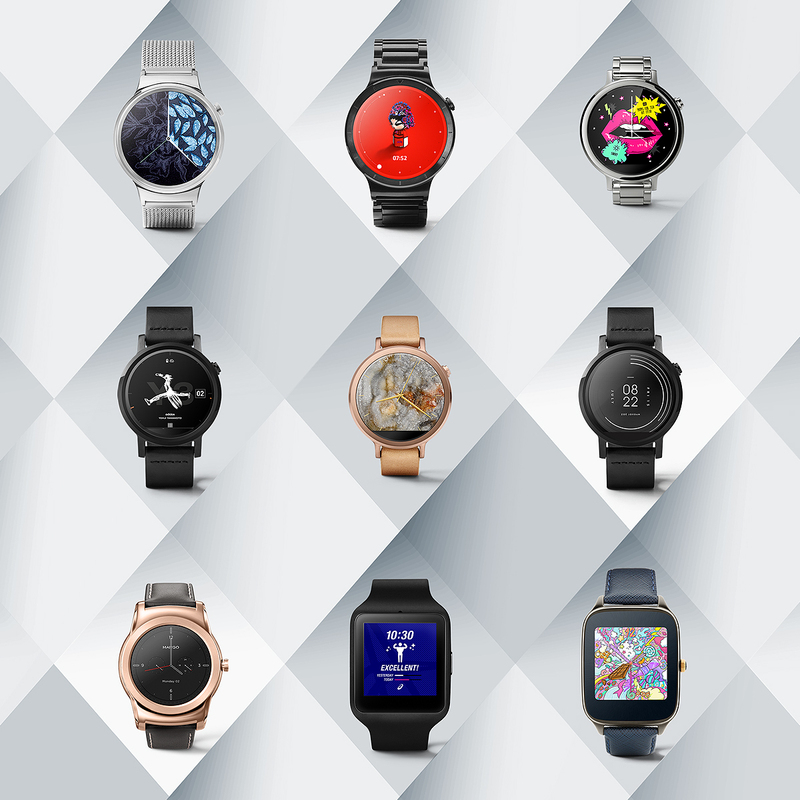 The Huawei Watch, Moto 360 for Women, and new Moto 360 are available for pre-order today. And all other watches will go on sale in the coming weeks. So choose the watch that fits your style and wear exactly what you want!